Specific Details: This is a classic Meditating Buddha statue made from suar wood. 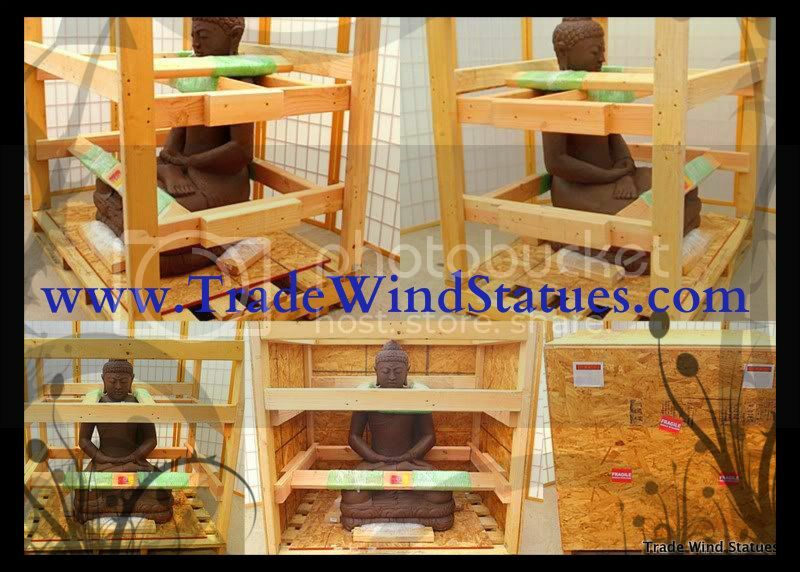 The Buddha is hand carved from one large, exceptional piece of tropical suar wood. Please note the details in the photos where you can see minor checking in the wood; this is common with hand sculpted wood carvings and only enhances his beauty and authenticity. This is a striking, rare, piece of artwork, guaranteed to please!